Over the weekend, I worked really hard on 2 projects. 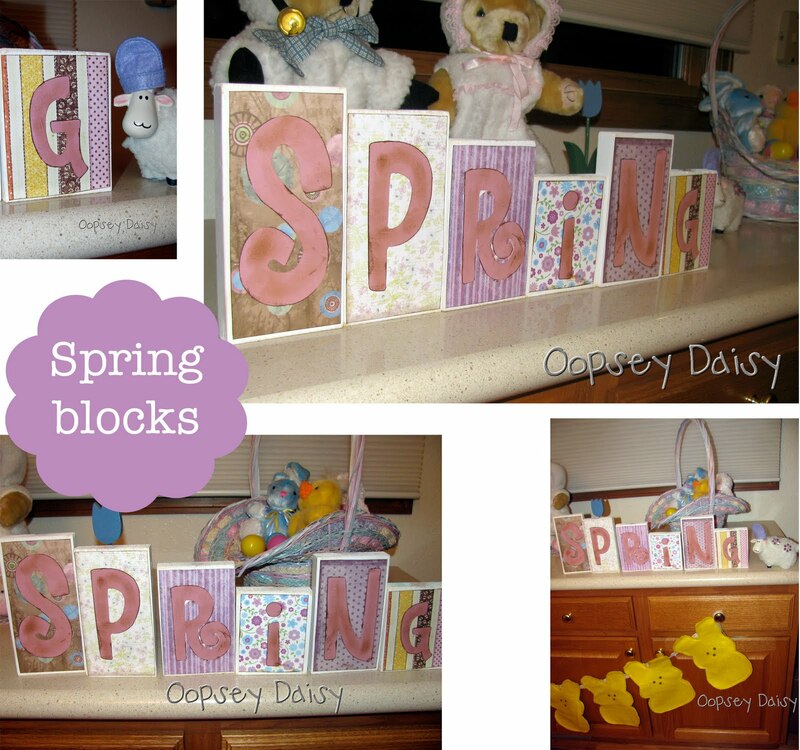 I wanted to add to my spring decor, so I made these "Spring" blocks. I love the font... and I love all of the background papers I chose. But I had a hard time settling on a color for the letters that looked good on all of them! What do you think of the pink?? I used a lot of distressing ink to help make them "pop". Look familiar? Yep, I repurposed again! 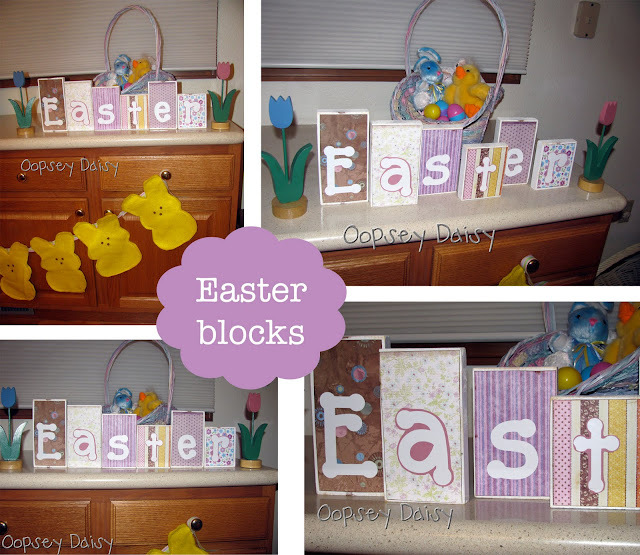 🙂 I turned the blocks around and made them into an "Easter" decoration. I am so proud of myself. I used vinyl on these ones, and I think I like the white letters better. Don't you just love multi-purposing?! Very cleaver and so stinking cute! I love them both. I too like them both but the pink letters are my favorite! Looks great!! I personally like the white but they both look great! I love the varied heights of the blocks and using Easter for one side and Spring for the other. Very cool! Very cute! I'm determined to make some of these for my mantel! Thanks for joining the Celebration Party! These are super cute! I think the pink letters look great! This idea can be used so many ways! Thanks for the inspiration – great job!